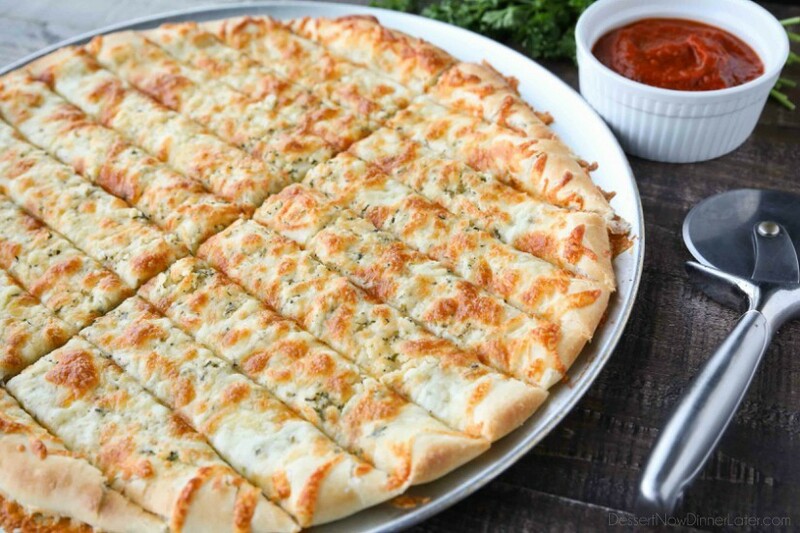 Cheesy Garlic Breadsticks - Dessert Now, Dinner Later! 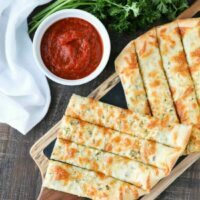 These easy Cheesy Garlic Breadsticks are loaded with garlic, cheese, and herbs for a great tasting breadstick to enjoy for pizza night. 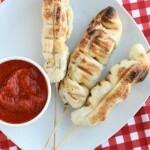 Also delicious dipped in marinara sauce! We have homemade pizza night typically once a week. 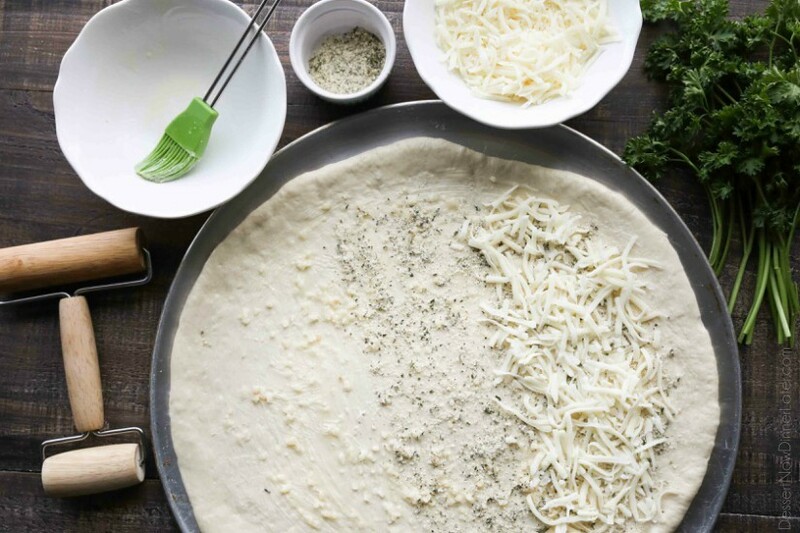 With store-bought frozen dough, it’s super easy to throw together and everyone loves pizza. Right?! Wrong. Well, kind of. My kids hate pizza with red sauce. Haha. It’s kind of ridiculous. 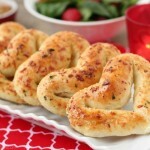 So if I’m being really nice, I’ll make these Cheesy Garlic Breadsticks for them instead. 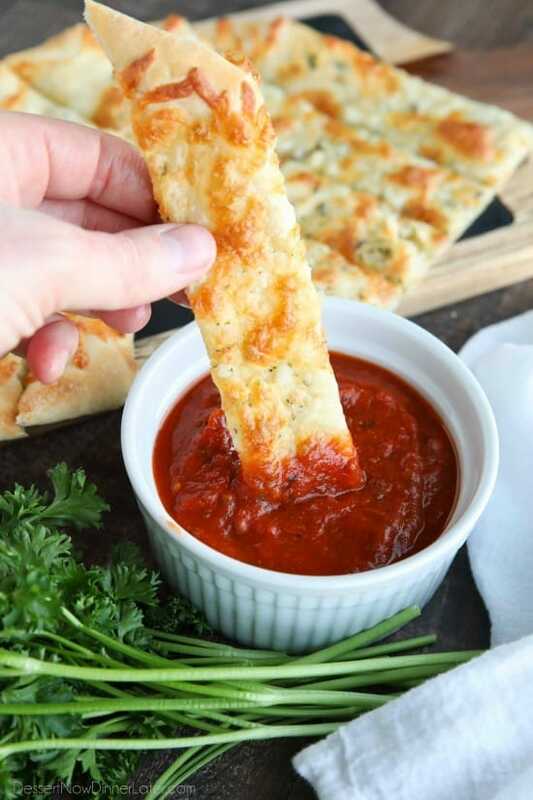 There’s no “sauce” and lots of cheese, so they gobble it up real quick! 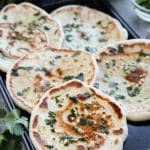 I’ll thaw one loaf of Rhodes White Bread, roll it out on a pizza pan, brush it with garlic butter, sprinkle some herbs, top it with cheese, bake, and voila! 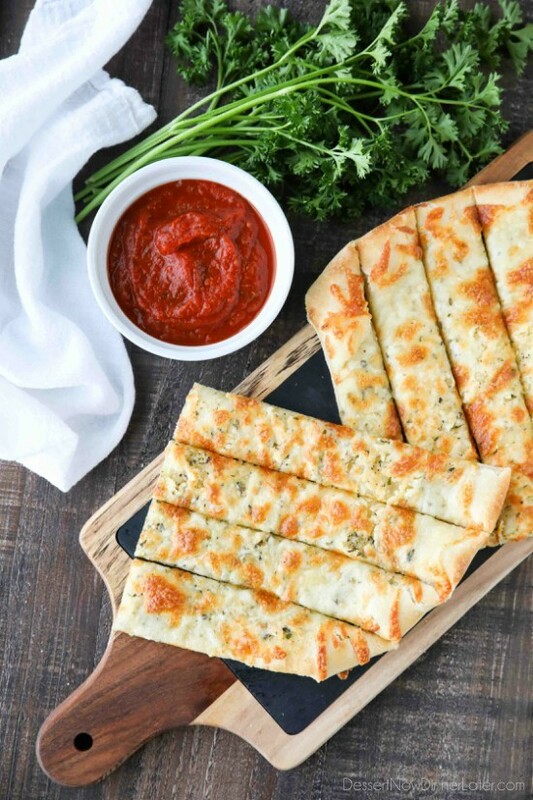 Yummy breadsticks that everyone truly loves! 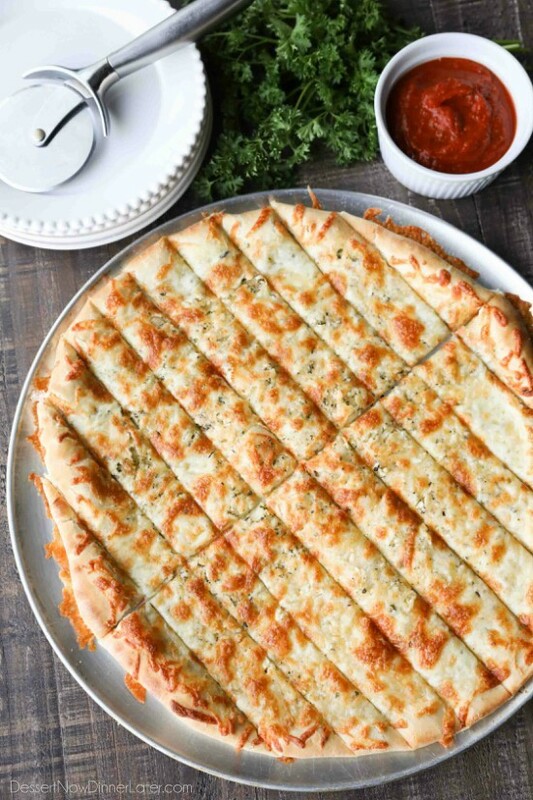 This Cheesy Garlic Bread tastes a lot like Papa Murphy’s, and we LOVE that bread, but I like to make things at home, so this is our homemade substitute. I promise you, it will get eaten fast, so maybe make extra. *Place frozen dough on a greased pizza pan. Cover with sprayed plastic wrap and let thaw at room temperature for 4-5 hours. Combine the melted butter and minced garlic. Brush over the pizza. Combine the salt, garlic powder, parsley, basil, oregano, and parmesan. Sprinkle over the butter layer. Top with shredded mozzarella cheese. Let rest for 15-30 minutes, to rise a little bit. Bake at 425 degrees Fahrenheit for 12-15 minutes or until crust and cheese is brown. Cool slightly, then cut into long, thin strips and then cut halfway across the middle for breadstick pieces. 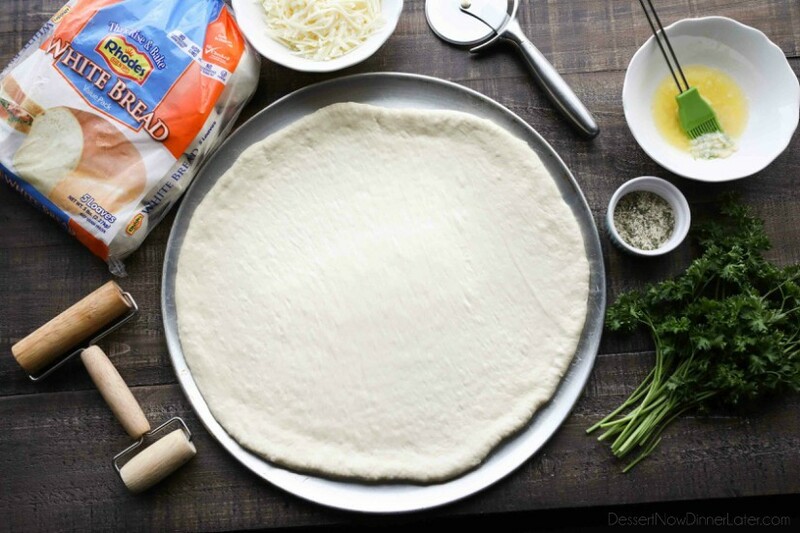 *TIP: Pre-cook crust for 5 minutes to quickly make the dough rise. Remove from oven. Combine butter, garlic, all seasonings, and grated parmesan. 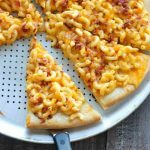 Spread over the partially cooked crust. Sprinkle mozzarella on top and bake as directed.